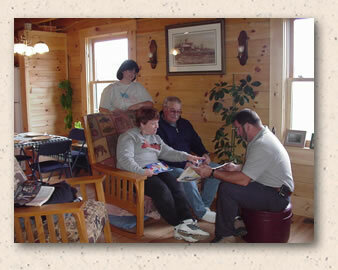 Dallas began his career in the construction business in 1975, building conventional homes. He built his first log home in 1990. His first Appalachian Log Structure was the Richmond and was built in 1992. 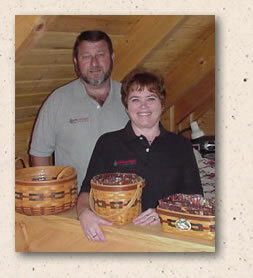 In 1997, he decided to become a dealer for Appalachian Log Structures, Inc.; the company he felt has the best log home product in the industry. His latest project, a modified Northpoint, was built on his family’s farm for his sister. Dallas’s wife, Renee, is a first grade teacher and also works in the business with him. They are the parents of two daughters. Dallas Huff Homes, Inc. is located in southern Ohio about 60 miles east of Cincinnati in Brown County. Call, and Dallas will tell you about the many advantages of realizing your dream in an Appalachian Log Structures home.